In result of the quality of the proposed services and the politeness in the business, KRZ PORT BOURGAS JSC has quickly established and keeps good commercial relations with approved companies on internal and external market. Clients of the Port are leading companies in production and trading with ferrous, non-ferrous metals, as well as in production and trading with vegetable foods and vegetable oils. 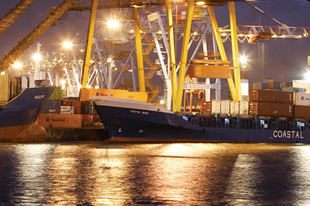 Partners of the Port are big shipping agencies and forwarding companie. There are companies that have hired offices in the Port's territory, and using other services. KRZ PORT BOURGAS JSC has available office spaces. If you are interested, please send your enquiry to e-mail: office@krzport-bourgas.com or call to our contact phones.